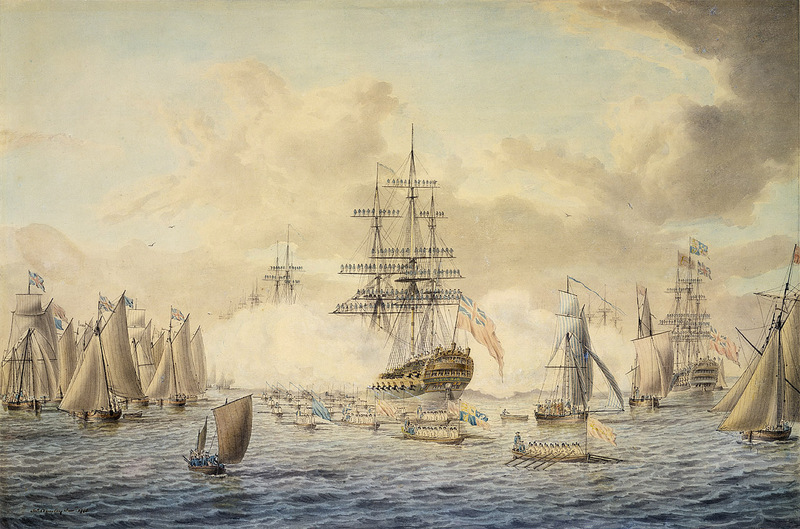 George III Reviewing the Fleet at Spithead, John Cleveley the Younger, 1773, National Maritime Museum. 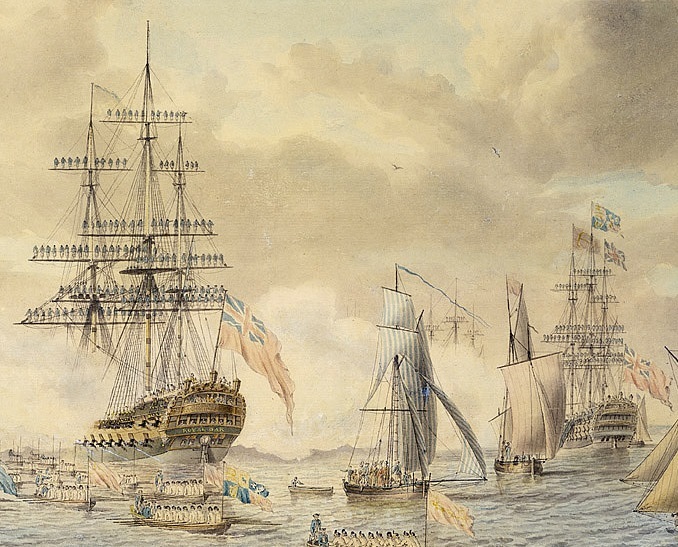 It was not common (though not unheard of) for a reigning monarch of Britain to review the fleet in the eighteenth century. This particular event lasted four days in 1773, during which the Cleveley family had plenty of time to practice their painting. John the Elder also painted the review, though from a distinctly different perspective. The sailors of the Royal Oak stand on the yards in a ceremonial display. While the colors are more muted, John's work here is reminiscent of his father's The Arrival of Princess Charlotte at Harwich. All the men aloft wear white trousers and blue jackets. Aside from a single skiff in which the crew are all clad in blue jackets and round hats, the barge procession is rowed entirely by oarsmen in black barge caps and shirt sleeves.